The Zen approach to Project Management brings together sound wisdom, a nuts-and-bolts grasp of practicalities, and original insights. It's the Zen that's been missing in all too many of today's business books, and George Pitagorsky is the master we've needed. by Shuly Cooper, et al. 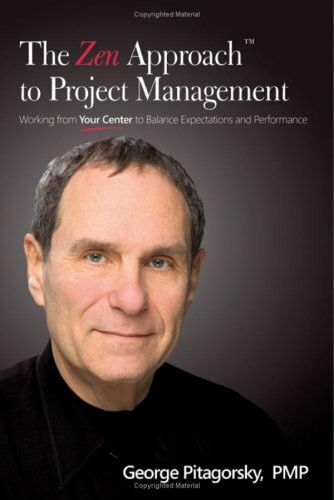 This book offers a framework for managing projects in any career area. The concepts can be applied no matter where you work. The mission of this textbook is to provide students with project management skills they can apply in any chosen profession. This book is designed to help you understand the theory, tools, techniques and key success factors for you to succeed in your projects. We will be looking at all aspects of managing projects -- from the technical checklists to the soft skills.